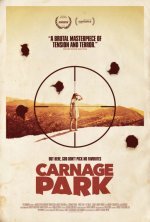 Carnage Park release date was Friday, July 1, 2016. This was a New York / Los Angeles release. t’s 1978 and a bank robbery gone wrong leaves Vivian (The Last Exorcism’s Ashley Bell) the hostage of two criminals on the run. 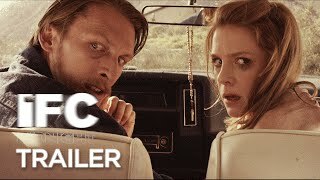 But things go from bad to off-the-rails berserk when she and her captors wind up on the sun-baked desert outpost of a deranged ex-military sniper (Pat Healy), who ensnares them in his deadly game of cat and mouse.